The inherent need to address signal quality challenges is no longer limited to just high-end, high-speed, signal integrity experts. OrCAD provides an integrated analysis environment with powerful simulation technology beginning at the schematic level. Seamless pre-layout analysis is available directly inside the OrCAD environment at no additional cost to you. Identify a wide array of signal quality issues including overshoot/undershoot, ringing and delay among many others. With advanced features including powerful analysis capabilities of Signal Explorer and SigWave, you can now explore and eliminate signal integrity problems early in your design process during schematic entry in OrCAD Capture. OrCAD offers the most advanced simulation technology on the market today. By beginning your analysis at the schematic level, you can reduce the cost and time spent on design failures and re-spins. 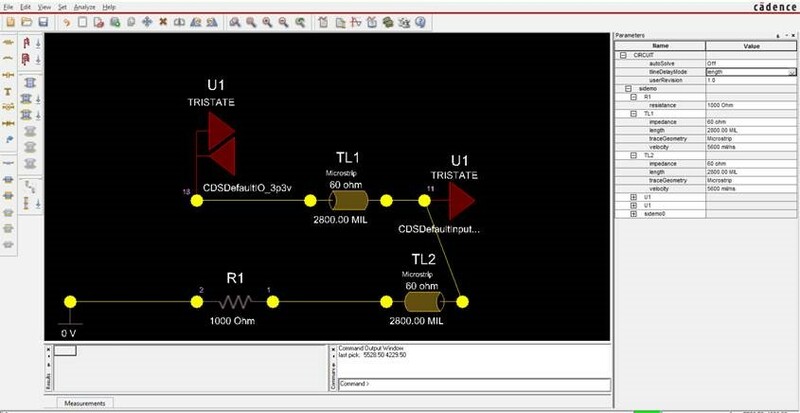 Simulate critical nets and perform what-if scenarios to identify the effects of different routing topologies, termination strategies, and component values and placements. As a result, you will be able to determine the optimal design rules and constraints to drive your physical design. The Signal Explorer environment is essentially a simulation cockpit for the analysis of high-speed or critical nets and provides an electrical topology view of the physical or logical interconnects. Review your imported circuit topology in OrCAD Capture and begin the investigation of your circuit through an exploration with various stripline and microstrip models, drivers and receivers, and devices. 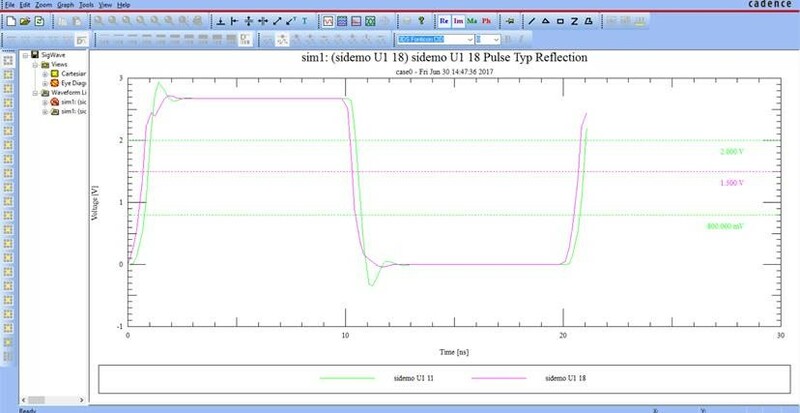 SigWave canvas is a waveform viewer which displays simulation results in multiple formats and modes. One mode that is particularly helpful is the oscilloscope mode, which allows the display of individual waveforms and provides markers for on-screen measurements. Use SigWave to view the effects of changes in topology or component values in Signal Explorer. Modify your topology and view the simulation output until your desired results are obtained. OrCAD Capture provides an array of powerful tools to get your design concept into the schematic. Signal integrity is a crucial step towards creating a high-functioning PCB that you can be confident in. Streamline your design process by presenting comprehensive design rules and constraints to your PCB designer to reduce errors and design iterations. With everything you need to consider in the design process, don’t let signal integrity bring you down, check out the Signal Explorer function within your Capture program today. Learn more about the full capabilities of OrCAD Capture today.